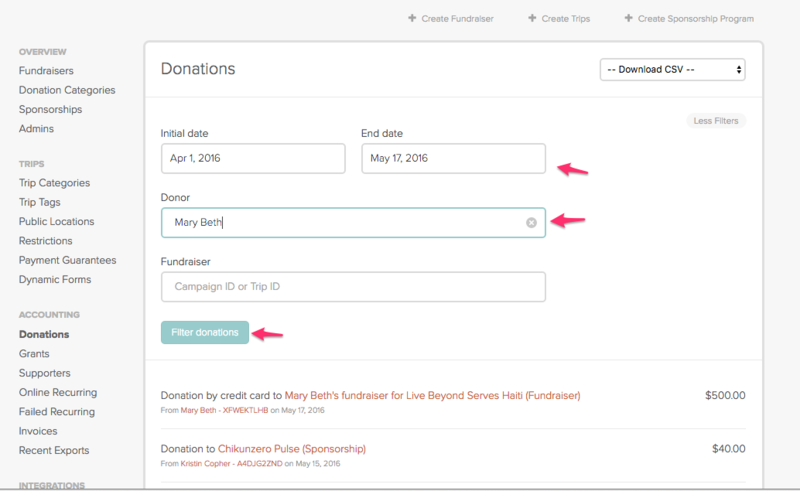 As an admin of an organization, you have the ability to look up or confirm a donor's gift from your dashboard. To do this, follow the instructions below. 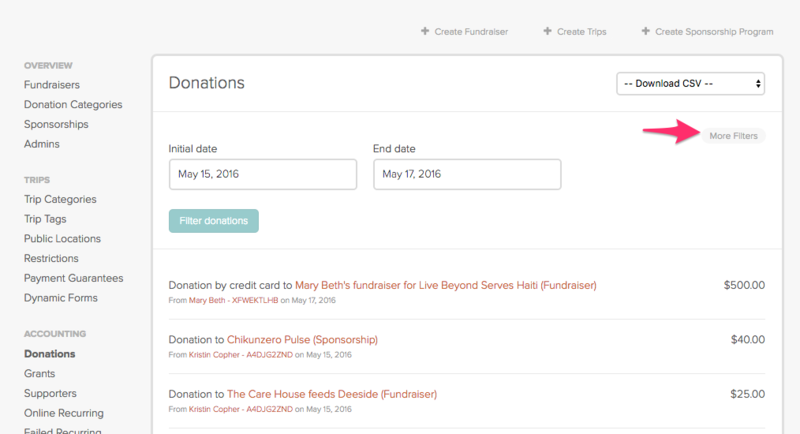 Step One: Starting from your organizations dashboard, click Donations. Step Two: Click More Filters. 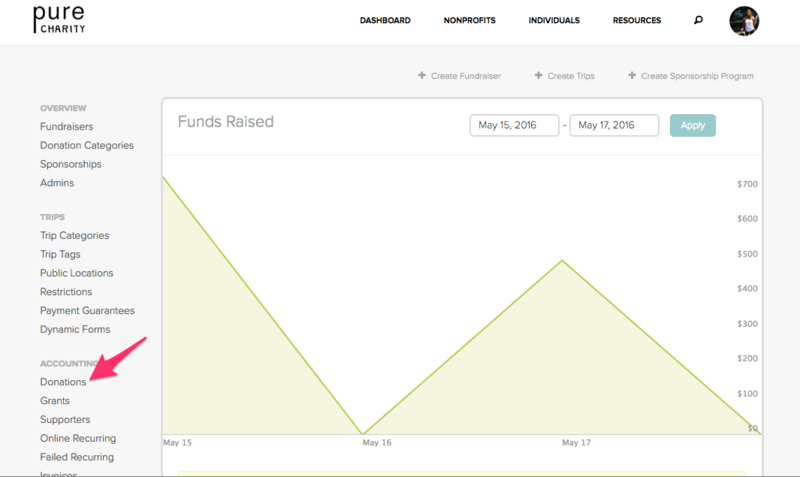 Step Four: Watch the results appear!